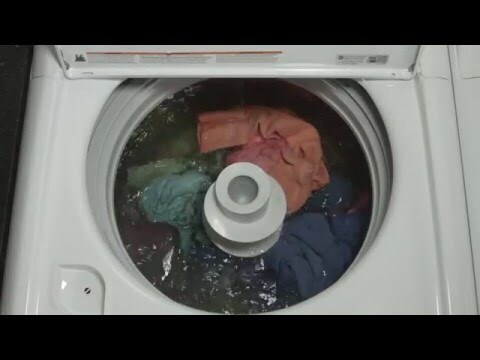 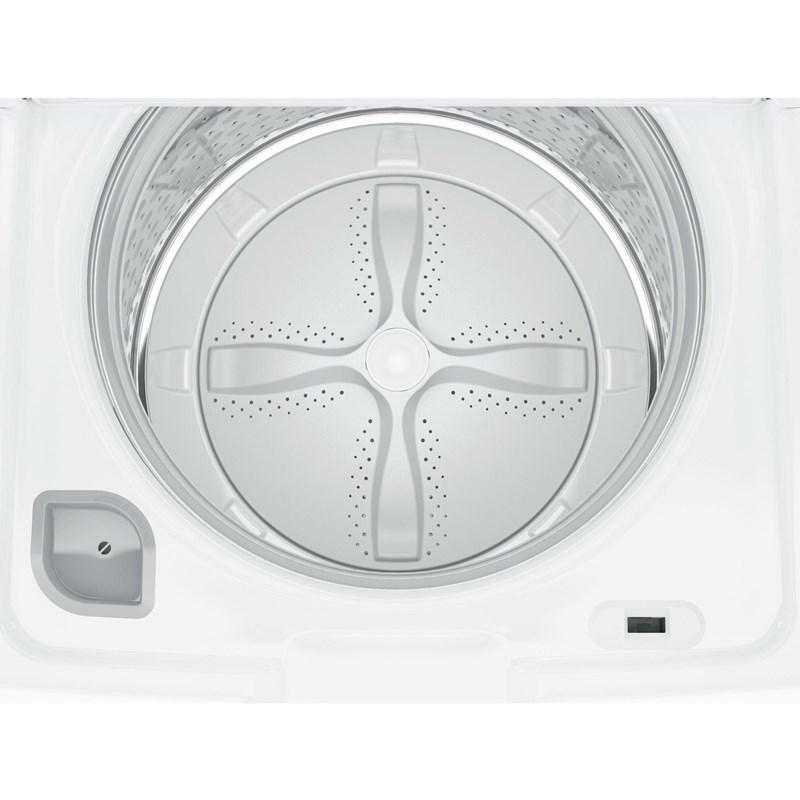 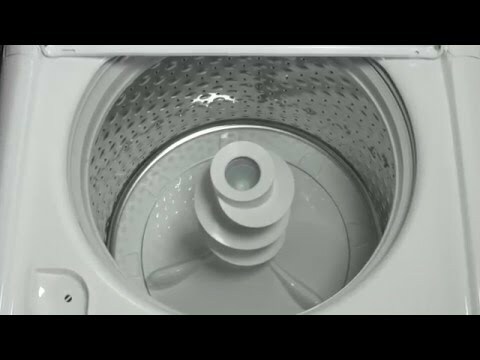 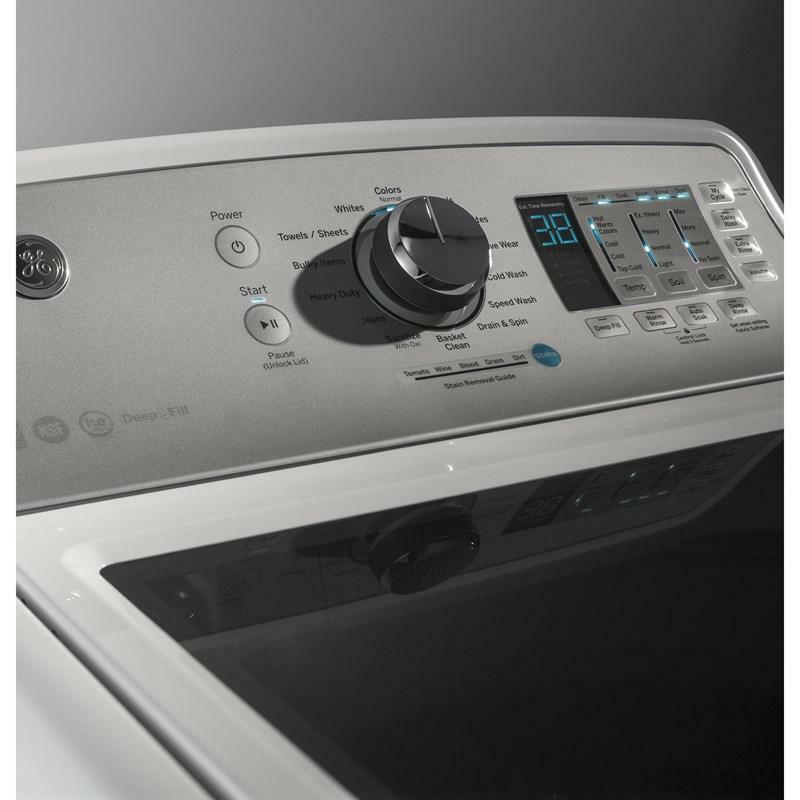 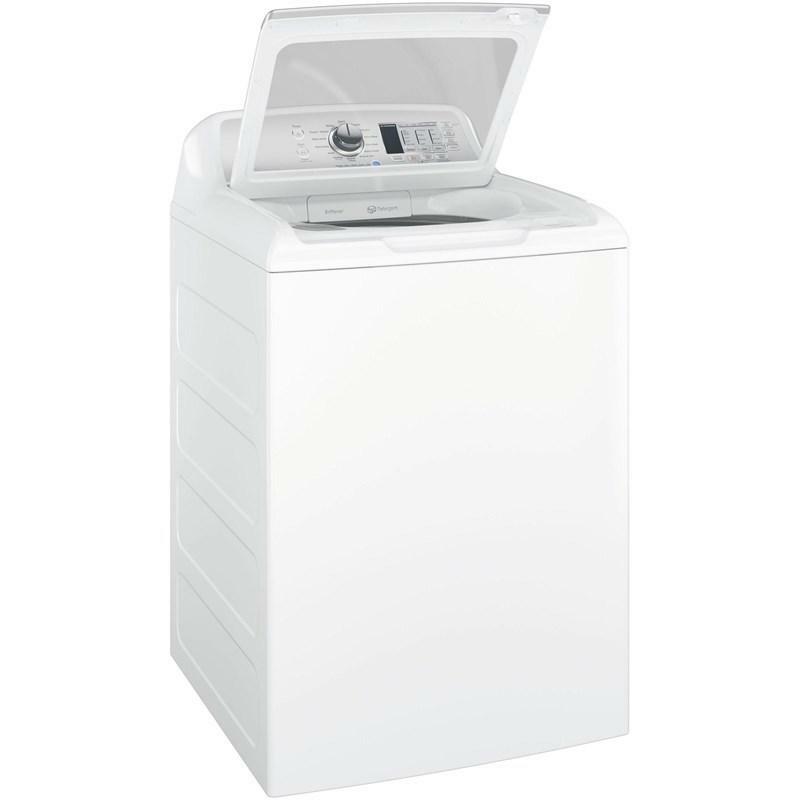 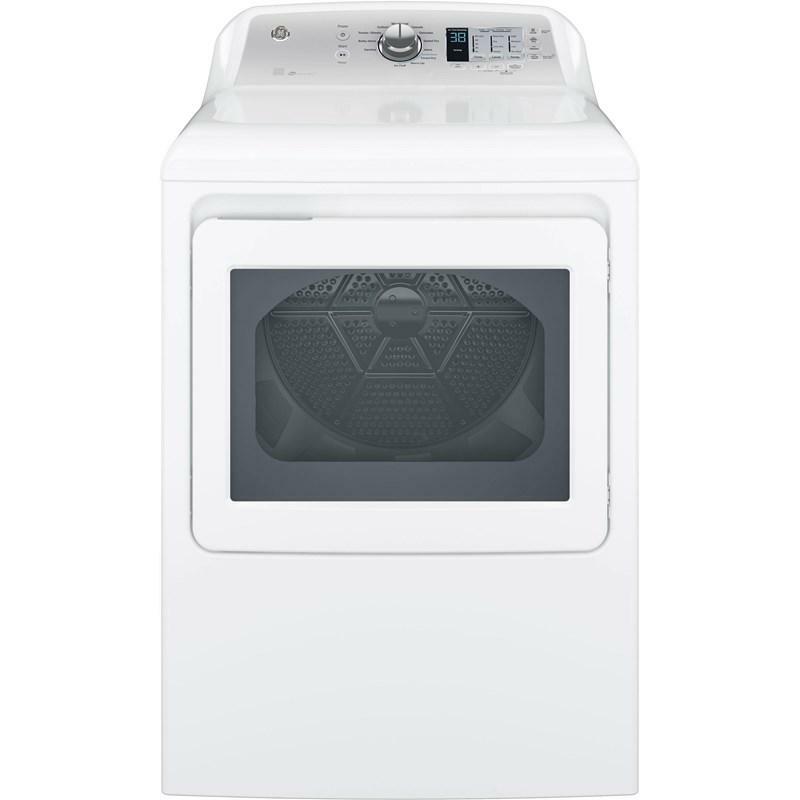 GE top-load washer features Precise Fill, 14 wash programs, 4 spin speed selections and stainless steel basket. 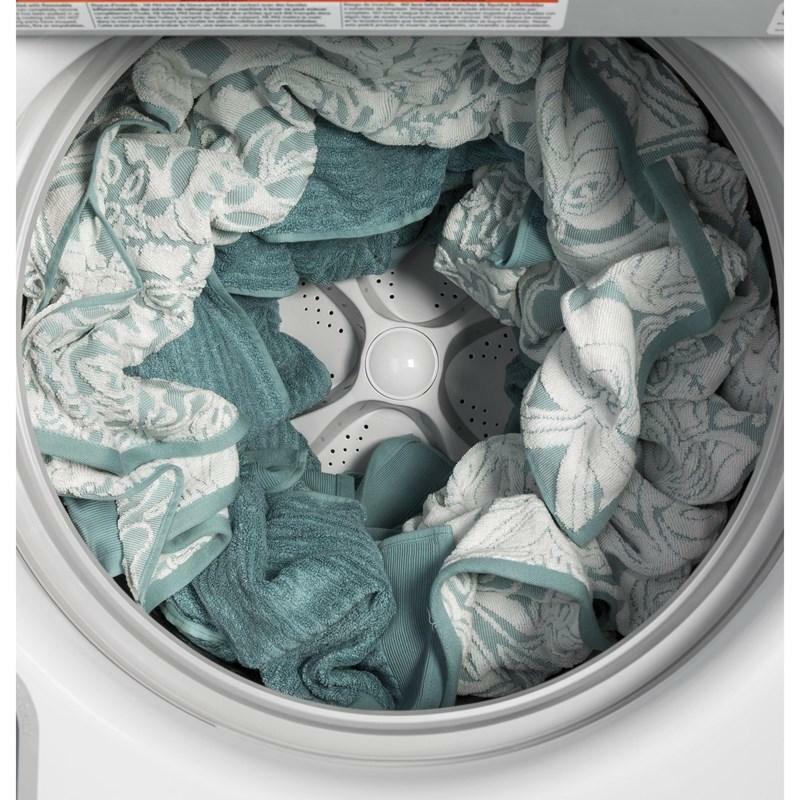 The oxi sanitization remove 99.9% of bacteria with a dedicated cycle that uses an Oxi additive to boost your detergent?s cleaning power, while keeping fabrics looking and feeling their best. 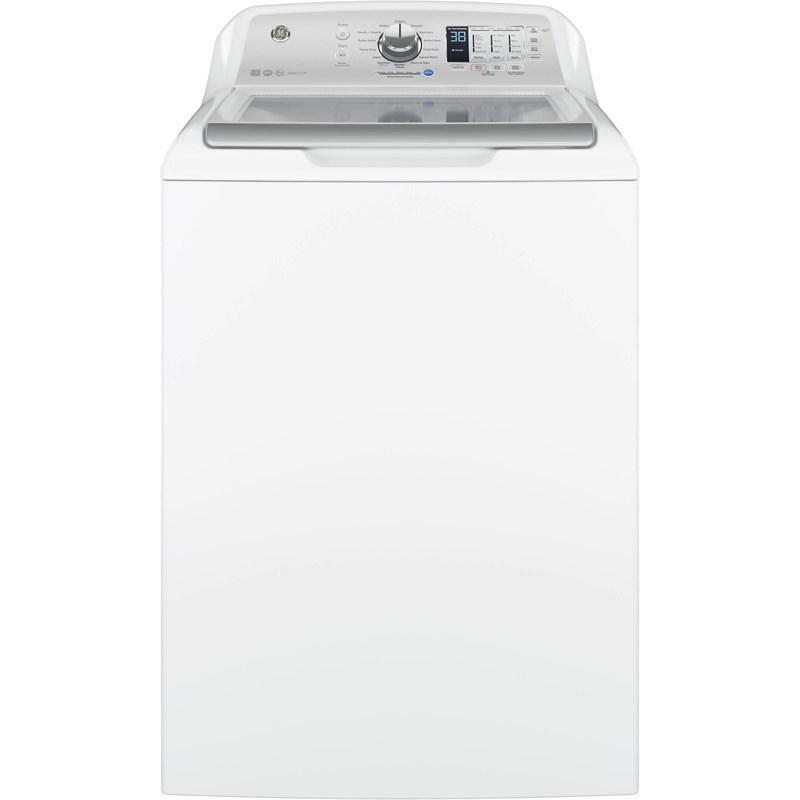 Total Capacity DOE 4.6 cu. 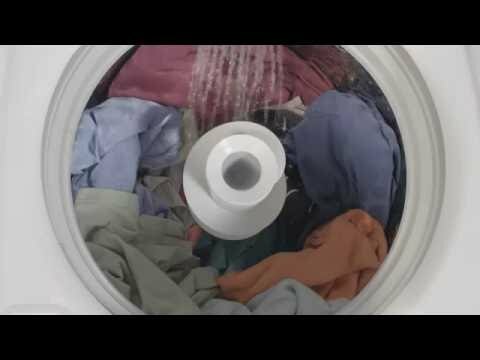 ft. / 0.13 cu. 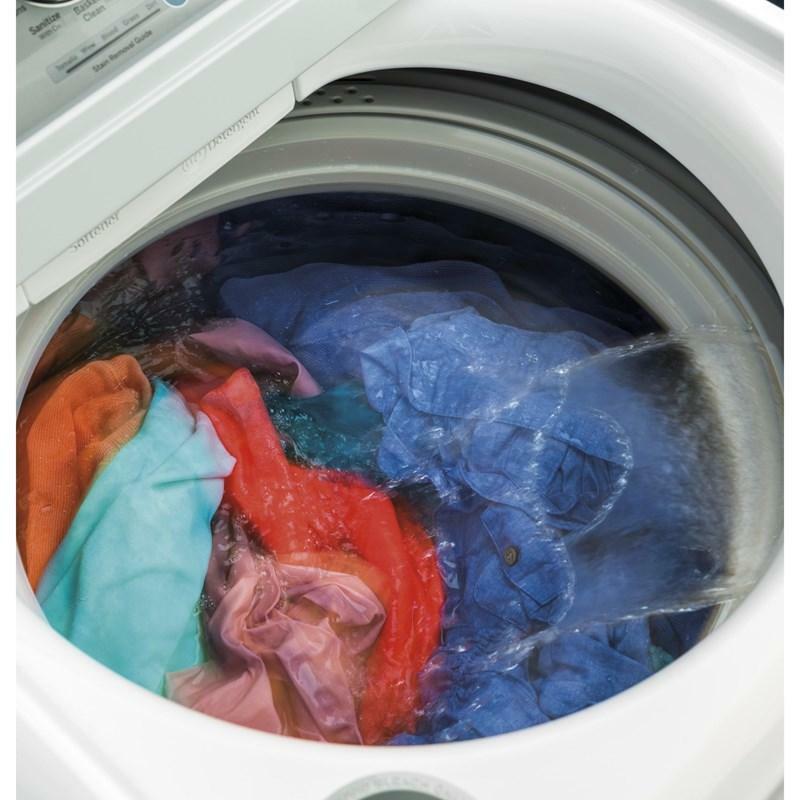 m.
Additional Information • Sanitize with Oxi - Remove 99.9% of bacteria with a dedicated cycle that uses an Oxi additive to boost your detergent's cleaning power, while keeping fabrics looking and feeling their best. 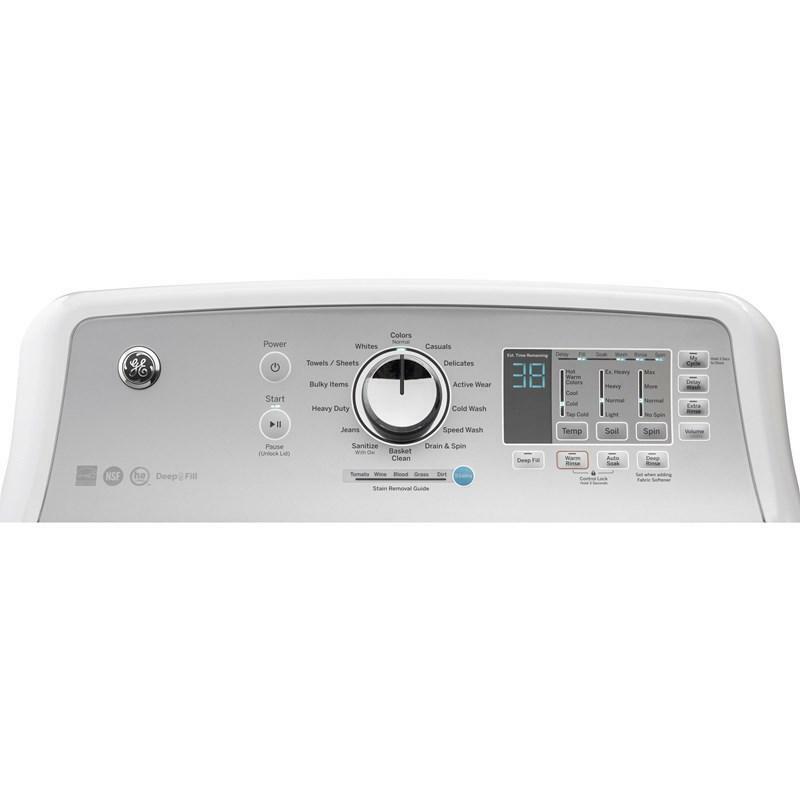 • My Cycle Settings - Wash clothes with the settings you prefer on any cycle, rather than the defaults, and store your settings for later use. 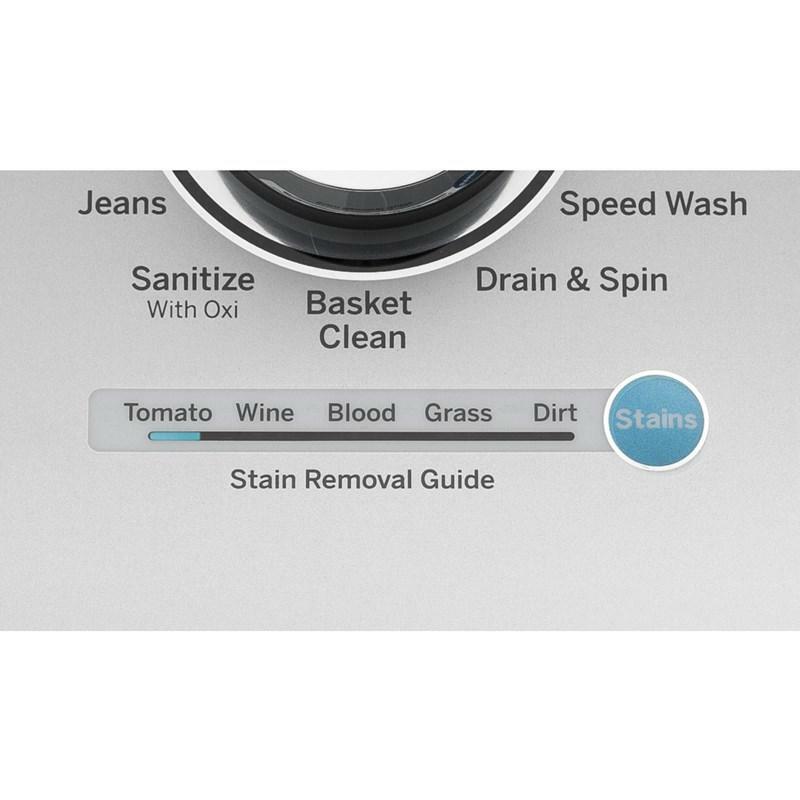 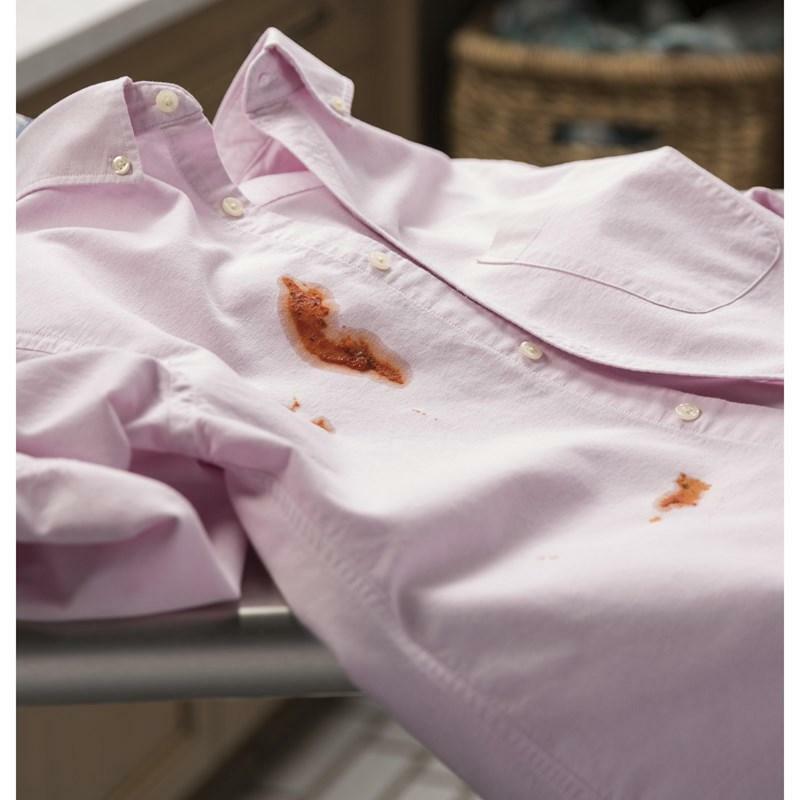 • Stain Removal Guide - Assists removing tough stains with pre-programmed settings that modify your cycle to treat the four most common stains. 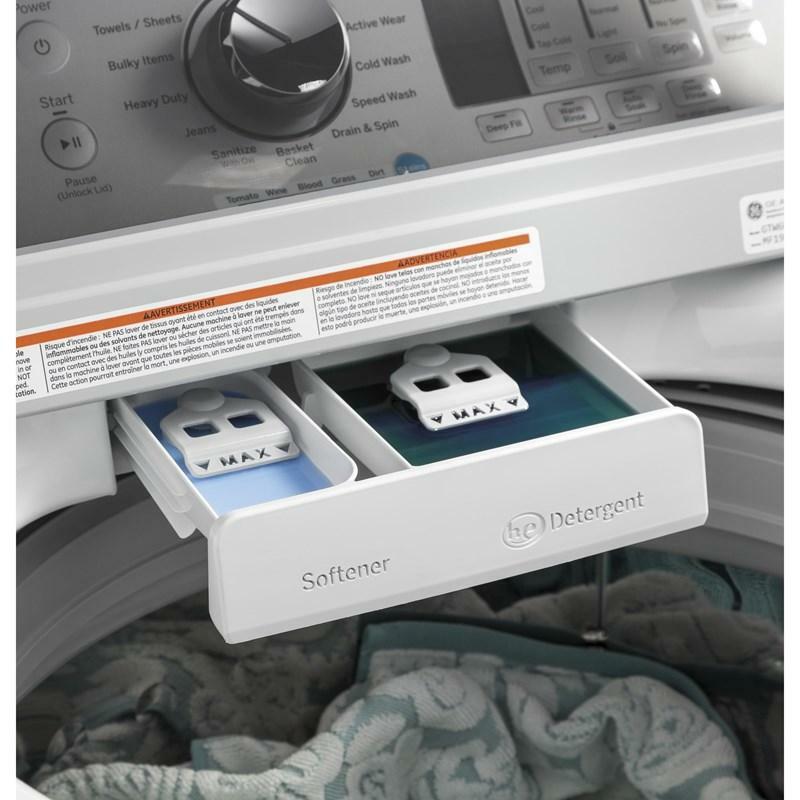 • Warm or Deep Rinse Options - Conveniently Removes any leftover soap residue. 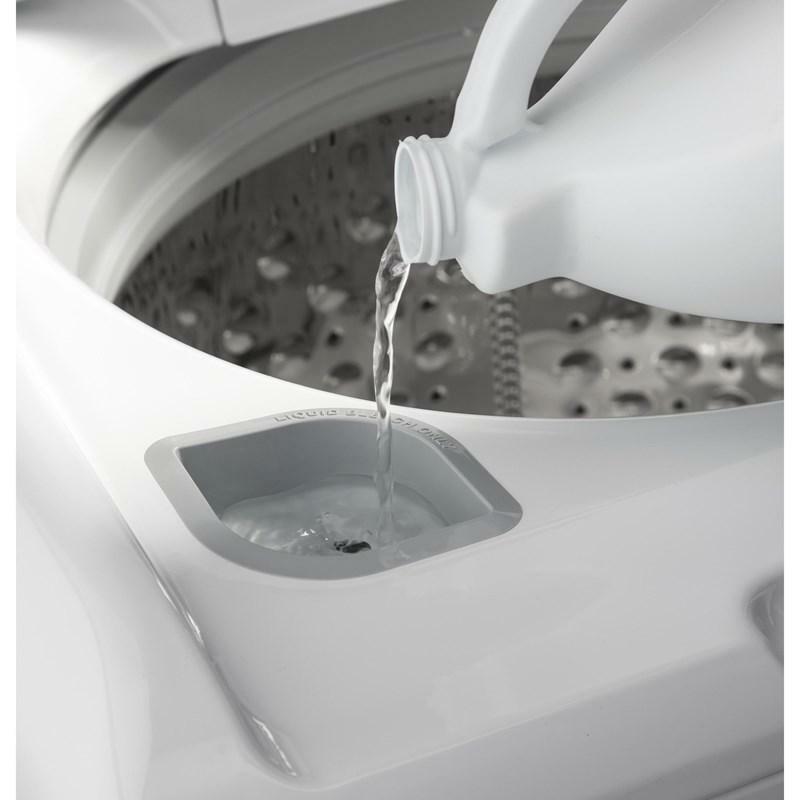 • Deep Fill Option - This option adds more water to easily accommodate larger loads. 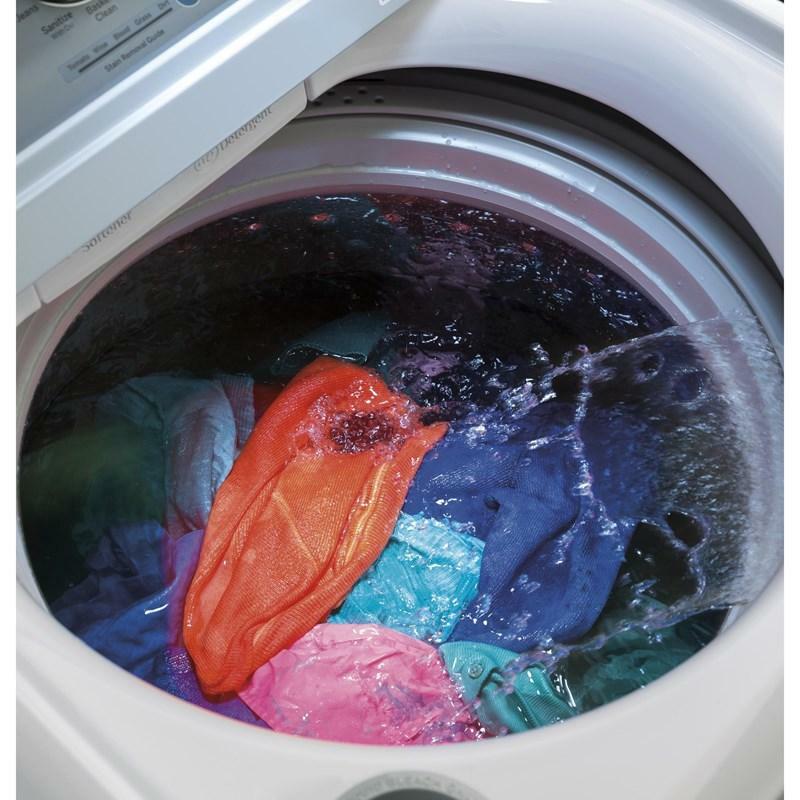 • Auto Soak - Loosens stains by soaking up to 2 hours.